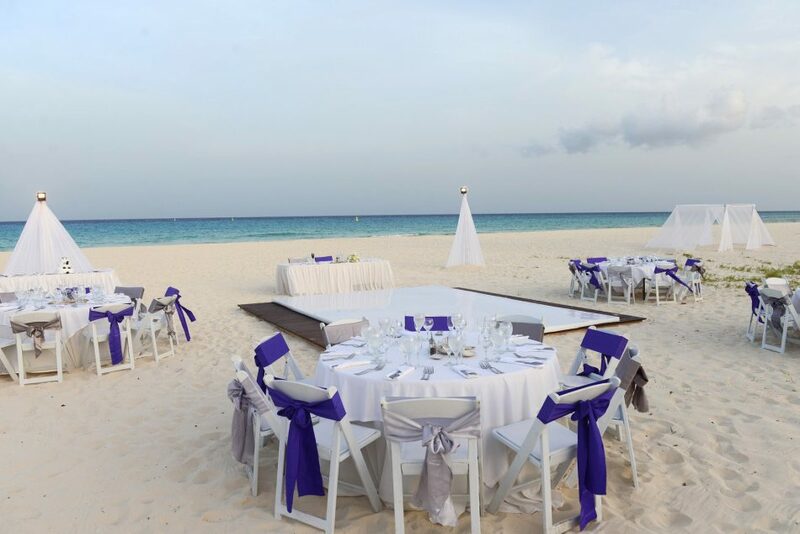 It’s no secret that our Weddings by Funjet team adores working with Sandos Resorts. What’s even better than a fabulous hotel? Well, combining it with a fantastic bride and groom. Back in July, I had the opportunity to work with Sandos Playacar Beach Resort to assist Therese and Andrew and all of their guests with having an unforgettable experience in paradise. Therese and Andrew are one of those couples who belong in a fairytale. They are truly beautiful inside and out. They have a passionate love for each other and also care deeply about their loved ones. I personally think this makes for the perfect combination of all the feels for an ideal destination wedding! 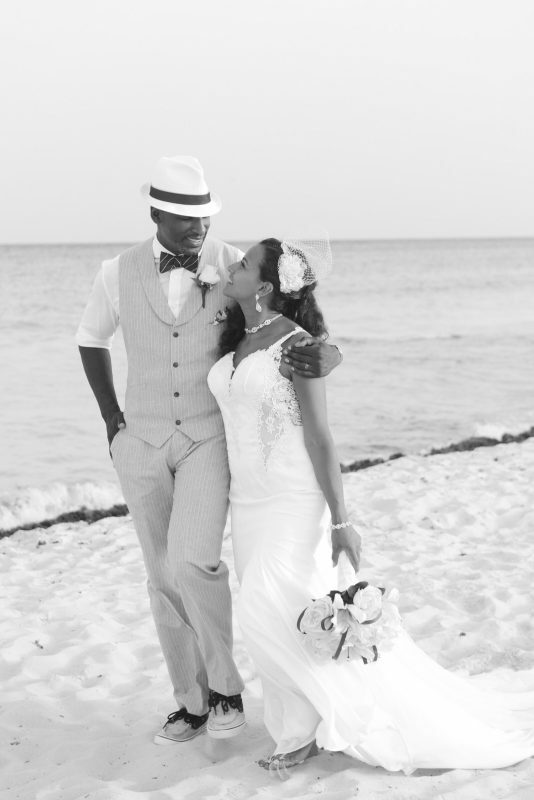 While they call the East Coast home, they were drawn to the idea of a destination wedding for a few reasons that will totally make you say “Awww!” Like most of us, Therese and Andrew love to travel and enjoy vacations. 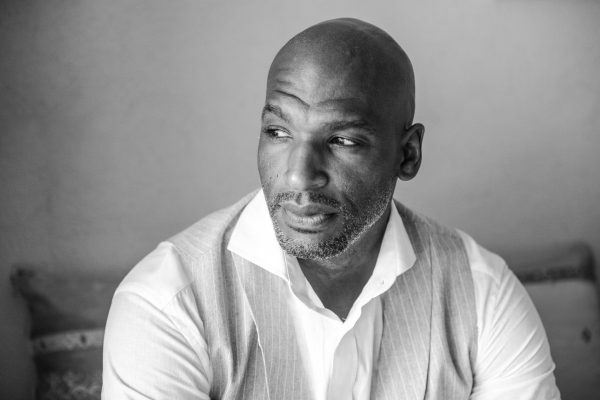 With this in mind, Andrew decided to take their Jamaican vacation up a notch in May of 2015 when he got down on one knee and proposed for Therese to be his wife during a walk to enjoy a Caribbean sunrise. Of course, she said ‘Yes!’, Andrew became her fiancé, and the rest is history. 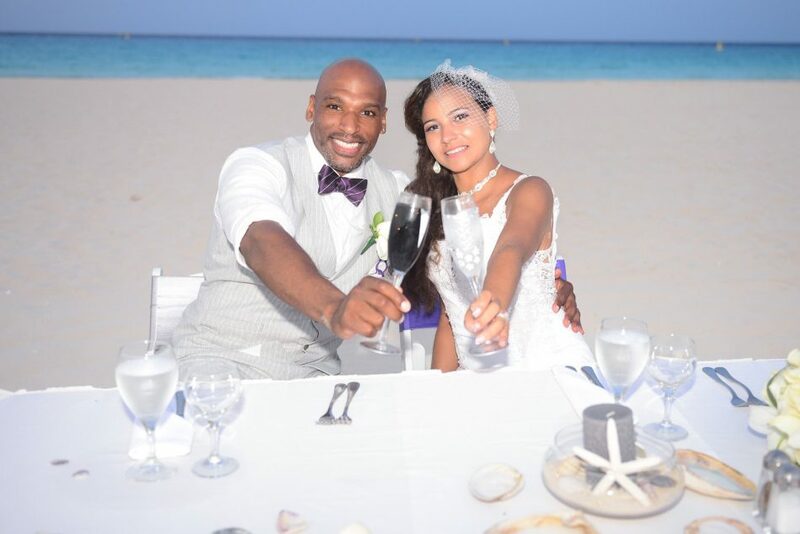 Andrew and Therese decided on Sandos Playacar for their wedding in the summer of 2017. 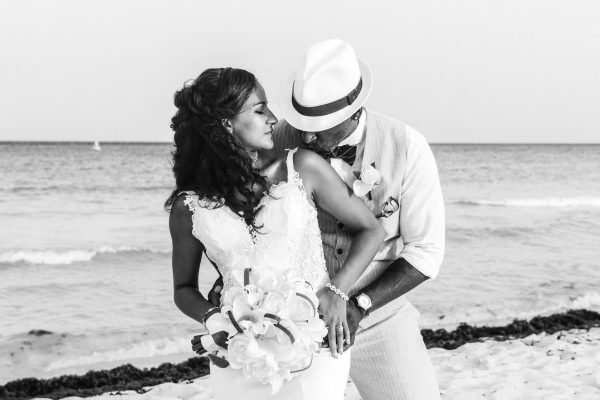 They knew they wanted to be married on a beach surrounded by their loved ones and Sandos Playacar Beach Resort in Playa del Carmen could offer just that! Therese chose a vibrant purple, white and silver combination to give her wedding a very trendy and fun atmosphere. She was right on point selecting Pantone’s 2018 Color of the Year! 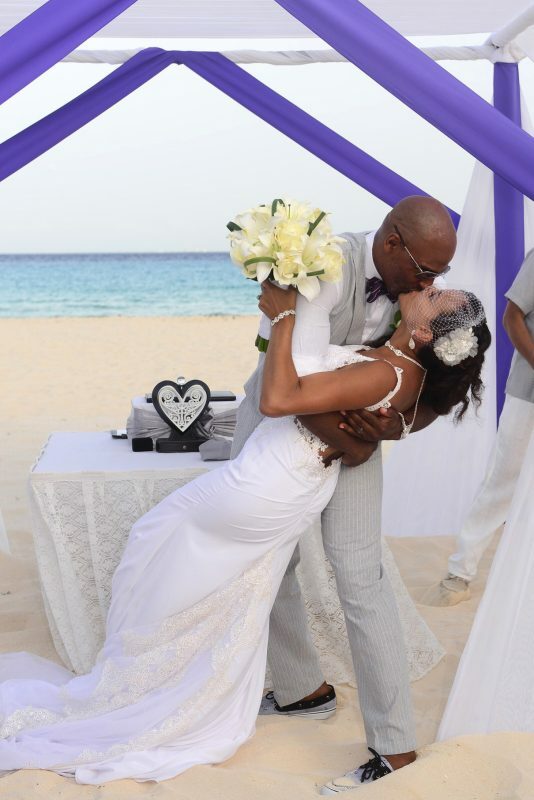 Sandos Playacar was the perfect setting due to its thriving location, flawless beach, and excellent service. 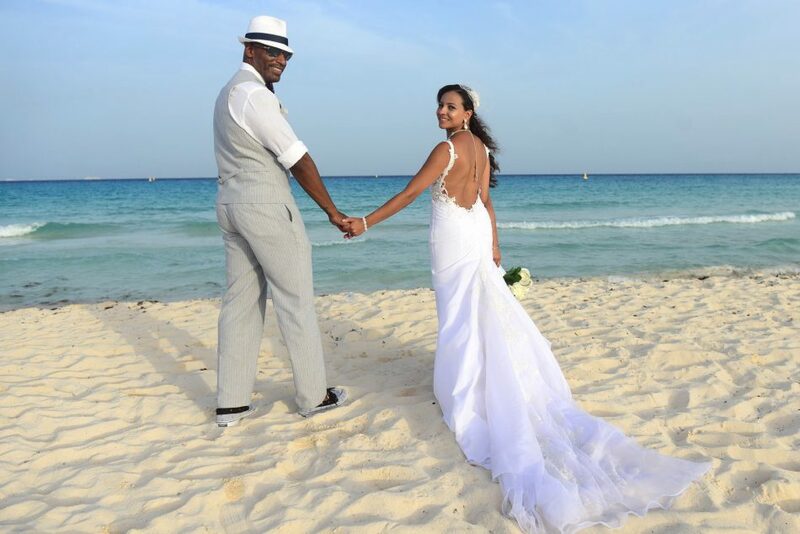 Therese’s experience working with Sandos Playacar was exactly what we wish for every Weddings by Funjet Bride. The wedding week was absolutely perfect! Therese’s nerves settled once she got to meet with their onsite coordinator, Maria. From there, they enjoyed their time on the beach, and the night before the wedding they hosted their guests to a beach BBQ. Therese said that if she could do it all over again, she would be sure to have a site inspection before-hand just to ease her mind. 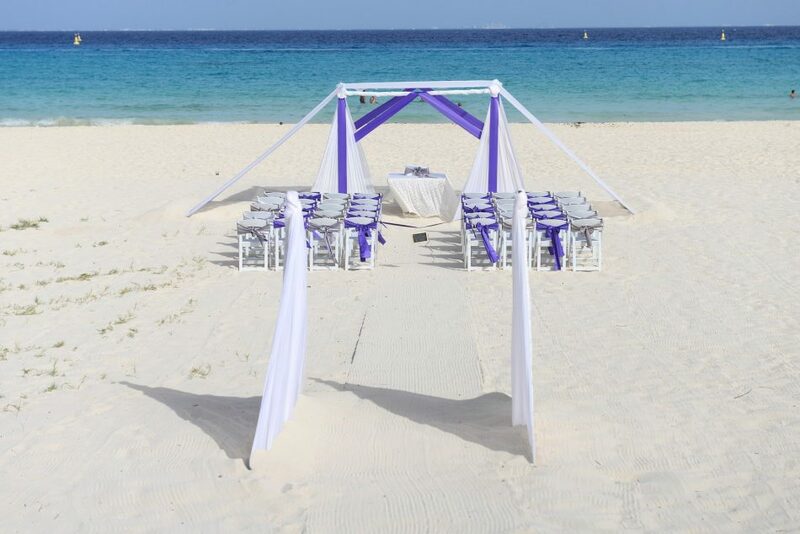 Recently engaged and wanting to say your vows on the beach? 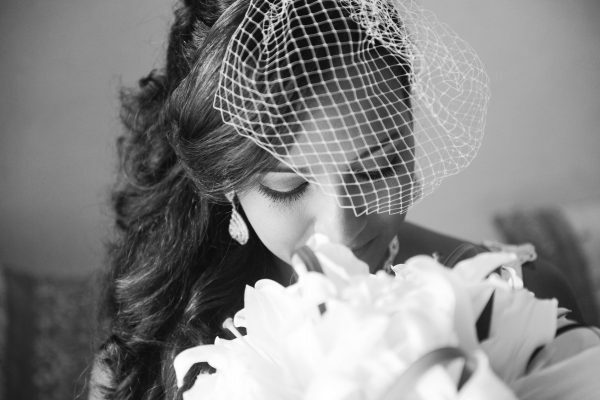 Request to work with Ashley on getting started planning your own picture perfect destination wedding. Happy Anniversary, Mark & Megan!